Maruti Suzuki, India’s largest car maker has put another step forward in the consumer delight. The Indian giant is now trying to introduce a new base of service which will be going to host the consumers. 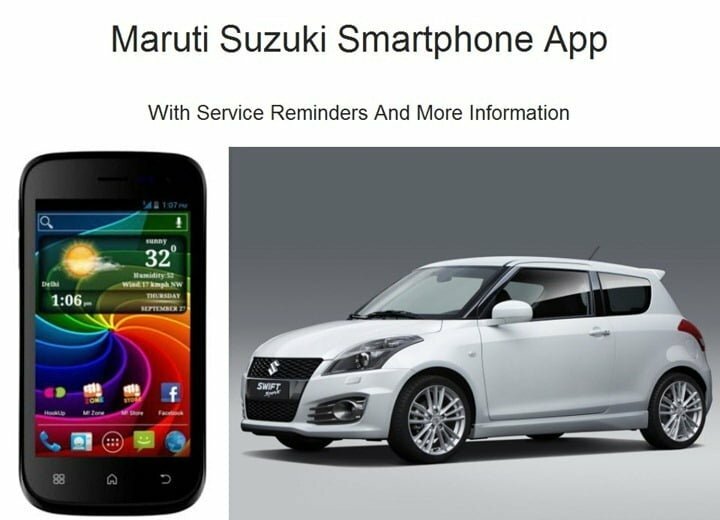 In this introduction Maruti Suzuki India Limited will be going to launch an android based application, which will be Maruti Suzuki smartphone app on its service centers and workshops. This new soft avatar has been introduced just to add more smiles to consumers by helping them when they walk in the service centers with their expensive cars. Maruti is going to launch this application full fledged in order to reduce the service time and add the service perfections. This is such an application which is going to be the best and works on an android based tablet, which would be allotted by Maruti Suzuki India Limited. The system would be connected through the company’s dealer management system and will host on a private cloud. The service orders, writing feedback clicking the dented or scratched images of the under serviced cars can also be recorded and after that the record will move on to Maruti’s private cloud. This way the data would be secured and stored in an effective way. We think as by introducing these kinds of tablets and software systems a technological service aspect is getting stronger for the Indian consumers. Maruti has taken forward the first step with such a revolution and thus to give the accurate and improved service to the two million cars can be easy across all the service outlets and nation as well. Soon company is going to distribute the tablets in their outlets but as for the check only 250 tablets would be experimented in order to start the service. Maruti India is the first to adopt such type of technology and will be going to successful sooner as there is already a soft service which has been running successfully by Maruti in its outlets. This service also maintains the booking, retail sales, enquires and customer behavior.